Notes: Special thanks to Garry at the Plymouth Historical Society for all of his help and info. Built for Kate Penniman-Allen in 1918 and commonly known as the P & A, this theater could seat around 600, but was equipped with everything a large movie palace would contain, including a large stage, orchestra pit, and an organ. Penniman-Allen also ran an adjancent dance hall. In the early 20s, she raised the ire of many of the citizens of conservative Plymouth when she stated that she wanted to begin showing films on Sundays. In the 40s, the P & A was operated by Harry Lush, who also operated another P & A in Northville, as well as the Penn, just down the street from the P & A in Plymouth. In the late 50s and early 60s, the Hohler family, which also owned the Farmington Civic, ran the P & A. Starting in the early 60s, it was known as the Plymouth Art, and screened foreign and industrial features. In 1968, the theater was destroyed in a fire. Cinema Treasures Link. Among the disputes which divided the community in the 1920s was the Sunday movie controversy. As in the case of the battle over the sale of liquor, local church leaders and the WCTU played an active role. It was Kate Allen vs. the church people, recalls one resident who remembers the contest. 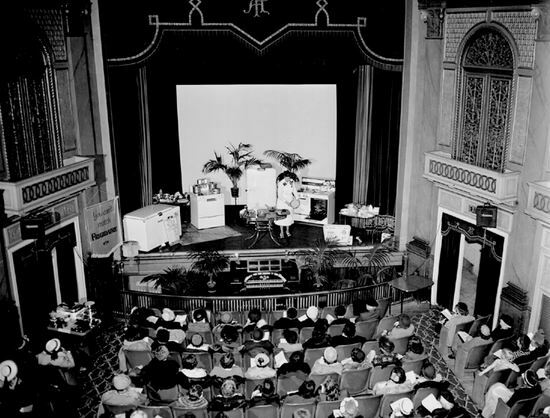 The efforts of church people to ban Sunday showings was founded on a time-honored tradition. Sunday blue laws, as their opponents called them, came into being shortly after the settlement of the colonies. They date back to 13th century England and even before then to the time of the Roman Empire when Constantine the Great bade all Roman citizens rest on Sunday. Religious motives were behind early iaws in America which restricted Sunday activities. Those who opposed blue laws claimed that the laws were Christian-oriented and violated the guarantees of separation of Church and State. 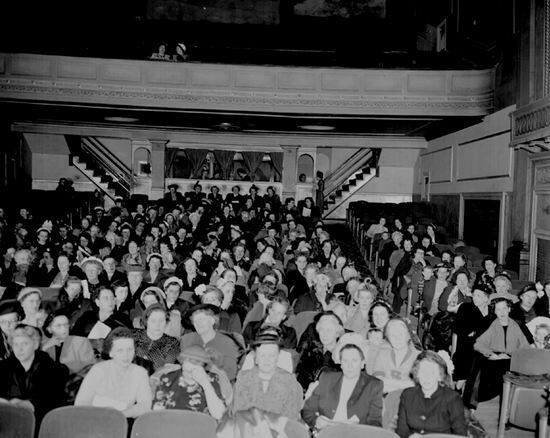 The local disagreement began early in 1922 when Mrs. Allen, who owned the Penniman-Allen Theatre, announced a new policy movies, which had only been shown on weekdays, would now be shown on Sunday. The theatre stood on Penniman A venue, roughly across from the Post Office. Mrs.
Allen had built it, and an adjoining dance hall, in 1918. 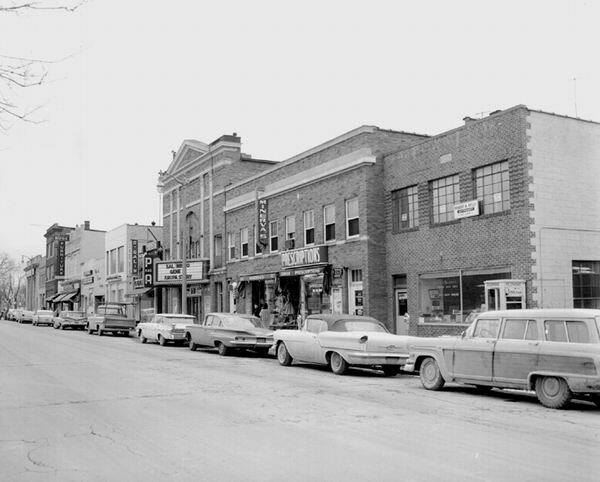 The dance hall, which featured a balcony for the orchestra, was located where Minervas dress shop and Bodes Resaturant were before the Penniman building burned in 1968. Movies had been shown in Plymouth prior to the construction of the P & A Theatre at the Opera House over the old City Hall, and in a building on Penniman, later razed, across from the new theatre. The P & A, however, was Plymouths first real movie house, and movie theatres enjoyed a patronage in the 1920s which cinema owners today would envy. Shortly after Mrs. Allens Sunday policy was announced, the village split into two camps. In one were church-goers and other conservatives who petitioned the village commission to ban the outrage. In the other were liberals and local merchants who petitioned the commission to do nothing of the sort. Conservative leaders included the Reverend S. Conger Hathaway of the First Presbyterian Church; Mrs. Charles H. Bennett, a prominent club-woman whose husband was the well-known President of the Daisy Manufacturing Company; and village Postmaster a.
Hill. The village commissioners and the school board lined up with the conservatives. The Superintendent of Schools, George A. Smith, said he had 800 reasons -all pupils -why Sunday movies should not be shown. The towns clergy preached sermons against Sunday movies, declaring them a violation of the Sabbath. To the Reverend Hathaway it was a moral issue. Sunday shows are a debasing influence on the community, he told a reporter. They lure our children from Sunday vespers, and if we allow them it would be but a step to Sunday baseball and other public entertainment. The liberals urged the commissioners to stand pat. Harry 0. Robinson, the colorful livery stable owner and town auctioneer who was known throughout the state, told the reporter he couldnt tell him what he thought about the proposed ordinance. If I did, you couldnt print what I said. William Pettingill, the grocer, agreed. If they close the show house theyd better hang crepe on that traffic sign. Secure in her position as a wealthy socialite of long standing, Mrs. Allen minced no words. If they close my place Sundays they will find it closed every other day also. These reformers make me mad. I give them good, clean films and I keep their children in Plymouth Sunday nights. Otherwise the youngsters would be scooting off to y psilanti or Walled Lake or Detroit. Voters registrations soared. The big day came on March 13, 1922. When the votes were counted, the liberals had won by 746 to 507 and Sunday movies were here to stay. The winners celebrated by parading in the streets. Ralph Lorenz told me that Harry Lush, manager of the theatre, paid for the celebration. It was Plymouths wildest night in the memory of the oldest inhabitant, reported the Detroit News. The controversy had been a ticklish one for local clubwomen. Kate Allen, daughter of Ebenezer J.
Penniman, the only man from Plymouth ever elected to the U. S. Congress, was a key figure in Plymouth social circles. The Womens Club of Plymouth almost split over the affair. Mrs. Bennett made it clear that the fight was not directed personally at Mrs. Allen. When it was over, the Womens Christian Temperance Union published An Explanation in the local paper. They said their petition opposing Sunday movies was not a personal criticism and that they had no thought whatever of hurting or offending Mrs. Allen, whose beautiful building is most assuredly an ornament to the town. The Detroit News purposely played up the small town, Blue Law aspects of the controversy. The reflective reader of today, however, aware of the social problems which have developed since the 1920s, and sensitive to the current outcry against the calibre of movies now being produced, might well ask: who was right? Were the Reverend S.
S. Hathaway and other conservatives merely narrow-minded blue noses as the liberals charged? Or were they, like those who opposed smokinng and intemperance, simply ahead of their time? Perhaps they took the long view that Sunday movies was just another in a long list of distractions which have continued to draw people away from the religious and educational disciplines of the past. Each reader will, no doubt, make up his or her own mind.